Broward Real Estate: Oceanfront Estate Just On the Market! 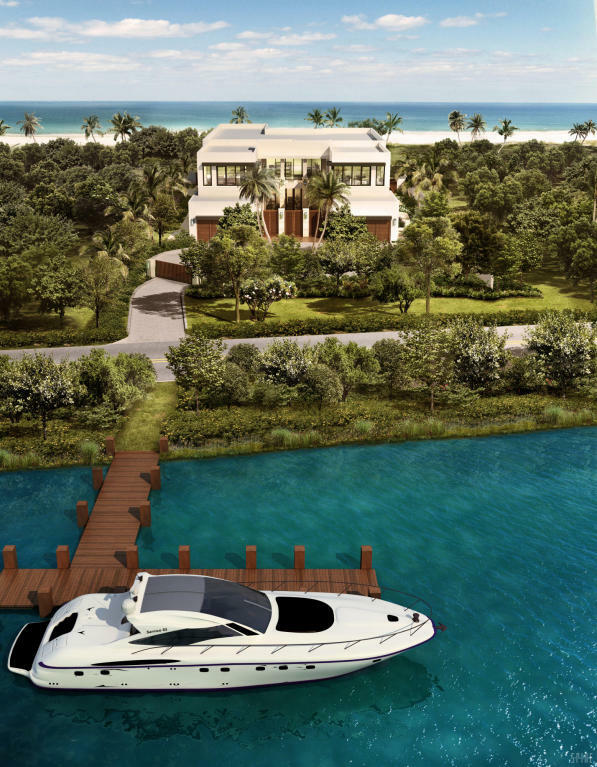 This brand new beyond modern estate in Hillsboro Beach on the intracoastal and the ocean is on the market! This stunner has been designed by Mark Timothy Luxury Homes, Incorporated and is located on the prestigious Hillsboro Mile. This majestic glass enclosed stunner has six bedrooms, seven full bathrooms and 2 half bathrooms. This home is spread out on over ten thousand seven hundred square feet of ultra luxurious living space. The rare sense of privacy is provided by the lush tropical landscaping around a private court yard with a walk way over the reflecting pond. The resort style swimming pool and main loggia have direct panoramic views of the sparkling Atlantic ocean. There is also the convenience of having one hundred and three feet of a "no wake" dock right only step from this estate. This dock is only minutes to the main Hillsboro Inlet. This home provides housing for four automobiles with four car garages. This home is directly on the beach with only step to the envious pristine Hillsboro Mile Beach.